Liz Brewer dancing to "Hang On Sloopy" by the McCoys. There are some different version of this epic dance performance by Liz Brewer floating about, and they are all well worth watching. First, what appears to be the original promo video, which naturally focuses on the singer as well as the dancer. There also is a version that focuses solely on the dancer and that appears to have had some processing done to it to make it more vivid and closer to how it must have looked originally. In any event, there are other versions/copies down below if you're interested. I will say it for you: wow. Some folks think that everything is done better today than in the past. Not so. And this video is a prime example. All right, now some background details below for those interested. 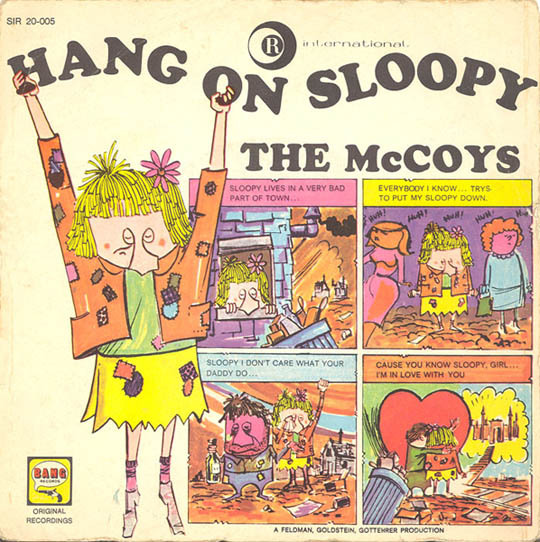 This is a promotional video for 'Hang on Sloopy,' a mid-'60s hit for The McCoys. 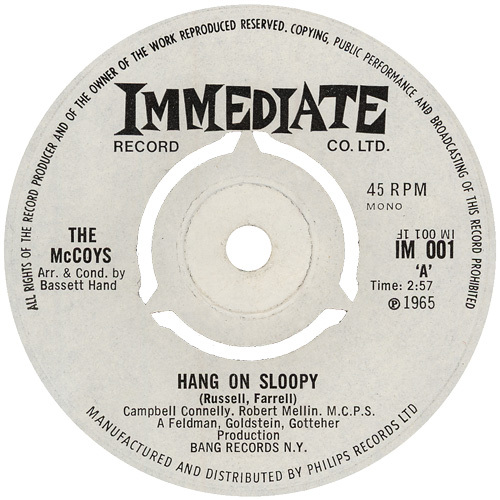 The McCoys weren't called that at the time, but changed their name because music executives didn't like their name, Rick and the Raiders - but the band had been called the McCoys years earlier. Naturally, since the song is known to derive from 1964-65, everyone thinks that everything related to it dates from that era. At first glance, you might think so about this promotional film for the song, too, that it is from 1965. After all, the band is dressed in the foppish artist style of the 1960s, and everything is made to appear timeless - no cars to identify the time, etc. It's not. However, this early video actually is from a decade later. 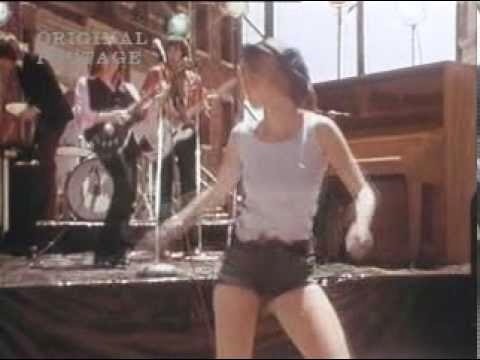 I say the video is "early" because despite being long after the song's original popularity, the video was filmed years before MTV launched in 1981. It was a time when promotional films for songs were rare and produced only for top acts and for special purposes (television special appearances and so forth). 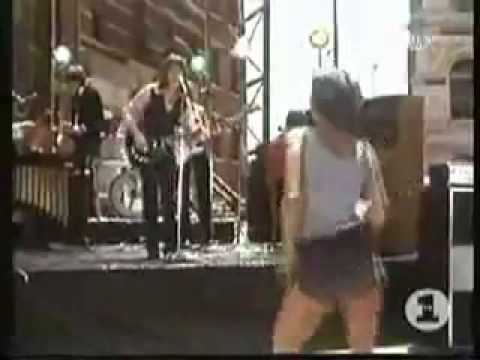 The singer is Rick Derringer, the founder, lead singer, etc., for The McCoys. 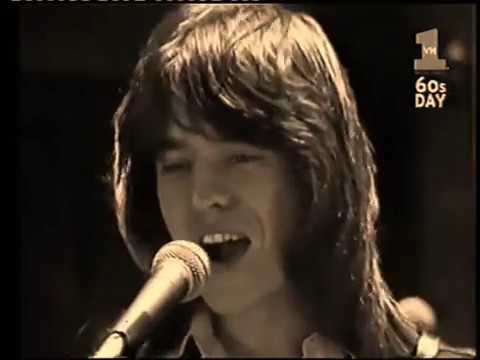 Years after recording "Hang On Sloopy," he eventually went solo and had another hit, "Rock and Roll, Hoochie Koo," in 1973, off of his first solo record, '"All American Boy." The follow-up to that initial, successful solo project was "Spring Fever" in 1975. 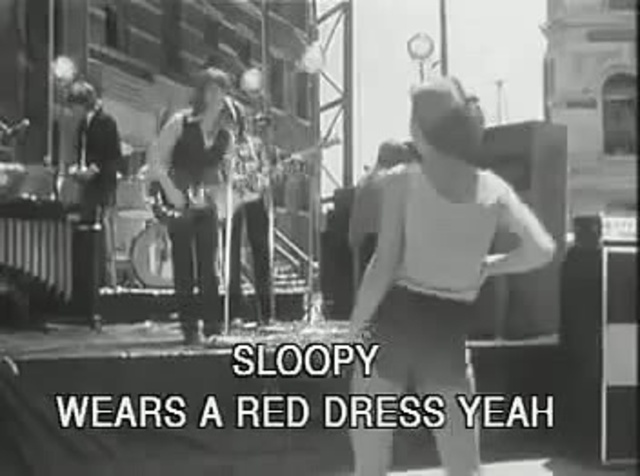 "Spring Fever" included a remake of "Hang on Sloopy," Derringer's signature tune at the time, but in a different musical style from the original. The remake wasn't as recognizable, of course, which had hit No. 1 during a period when just about every record was a classic. The music of 1975 was fine, but it was the disco era and, well, a lot of those hit tunes were not, shall we say, timeless ("Kung Fu Fighting" ring a bell? Or "The Streak"? How about Rick Dees' "Disco Duck"?). Rick was working with Steely Dan and on other projects, but he was still kind of low-profile. Not too many people knew his name from The McCoys - heck, they probably thought that he was named McCoy. It was an era of one-hit wonders, so his recent hit hadn't really established him in the public mind, either. 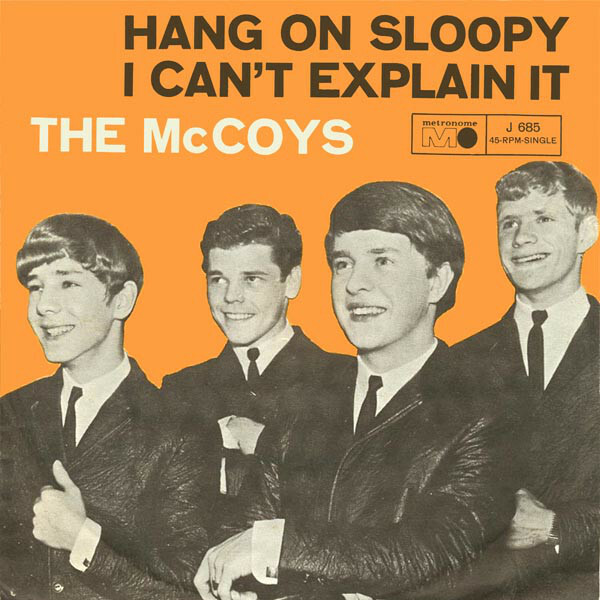 So, Derringer's record company decided to promote the new record by hearkening back to the original, classic version of "Hang on Sloopy" that everybody knew (and that people still know today, in fact, long after any remakes have been forgotten). None of the original McCoys, which had disbanded in the '60s, appear in this mid-'70s video except, of course, for Derringer himself. The guys in the background are probably just session musicians or, more likely, actors (if you look closely, they don't appear to be playing or singing). But we don't really care about them. The identity of the dancer was a subject of much debate and confusion for many years. It now is clear that it was Rick Derringer's first wife, Liz Brewer/Liz Derringer. Rick Derringer and wife Liz Derringer (Photo by The LIFE Picture Collection/Getty Images). Incidentally, Rick Derringer's real last name wasn't Derringer, it was Zehringer. He changed it to Derringer legally in 2007, long after he did "Hang on Sloopy." But we won't dwell on that. 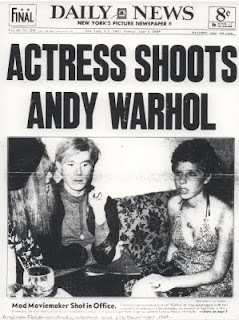 When a crazed stalker shot Andy Warhol in the 1960s, they grabbed an old file photo of Andy sitting with a woman. She just so happens to be ... Liz Brewer. Liz was a music journalist who grew up in Greenwich Village. She knew everybody then - Andy Warhol was a close friend, but she knew Mick Jagger and all the other top names. Liz hung out at Warhol's The Factory. She introduced her friend Bebe Buell to Steven Tyler, with whom Liz had gone to school in Yonkers. Steven and Bebe begat the famous actress Liv Tyler. In fact, Liz Derringer is Liv Tyler's godmother - I bet you didn't know that. Liz Derringer is still very much around. Oh, and so is Rick, though they are long since divorced. However, I highly doubt most of you came to see Rick Derringer, the fine musician and songwriter that he is. According to many sources, Liz Brewer was an unknown dancer who simply was hired for the video. However, being Rick's wife certainly helped her get the gig. You know what they say - make the most of your opportunities. Since her performance is now legendary, hiring Rick's wife was a fabulous decision. Rick had classic youthful looks in the 1970s. That hair was a touch long, though. She and Rick were married for 22 years. Rick once said, "Liz and I were always on the scene. We were the consummate partiers." And that's how it goes down in the big town. Liz wrote books about her experiences called "Liz Brewer's Ultimate Guide to Party Planning and Etiquette" and "Liz Brewer's Partying Bible." There are some who want to romanticize this and claim that Liz just 'showed up' for the shoot, you know, at random or something, and started dancing, like in the video. Friends, that would be wonderful if it ever happened, but goddesses do not just 'show up' when you happen to need them for filming on a back lot. Rick had his wife do the dancing, and she did a hell of a job. All young ladies who want to know how to dance should study this video.